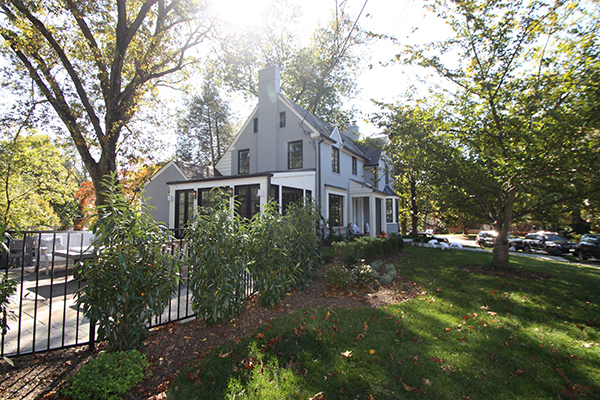 This family’s home in Northwest DC has undergone a full interior and exterior renovation. 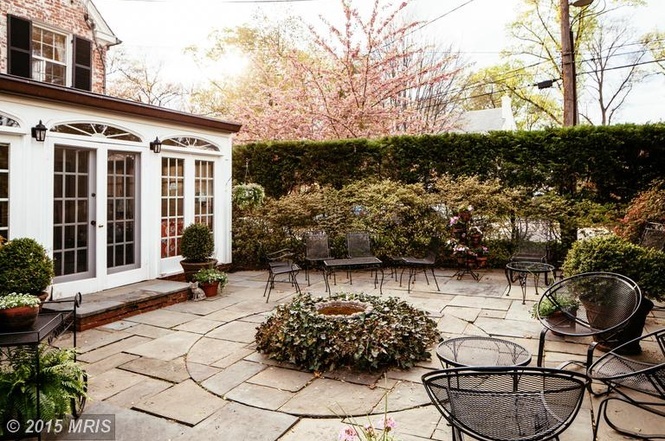 We can’t wait to show you all the exciting changes that have happened on this property, but for now we want to focus on one of our favorite parts of the remodel: the sunroom and patio. The existing sunroom and patio had some lovely features but didn’t fit the direction this family envisioned for their home. 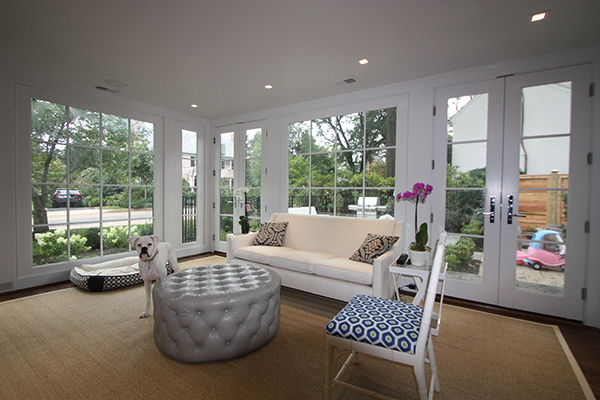 They wanted a bright and airy sunroom that would be comfortable all year round. The vaulted ceiling was covered to incorporate ductwork for the home’s HVAC unit. We also relocated the french doors from the center of the room to on either side of the couch. This small change significantly improved the furniture layout possibilities in the room, and walls of windows take advantage of those stunning views. 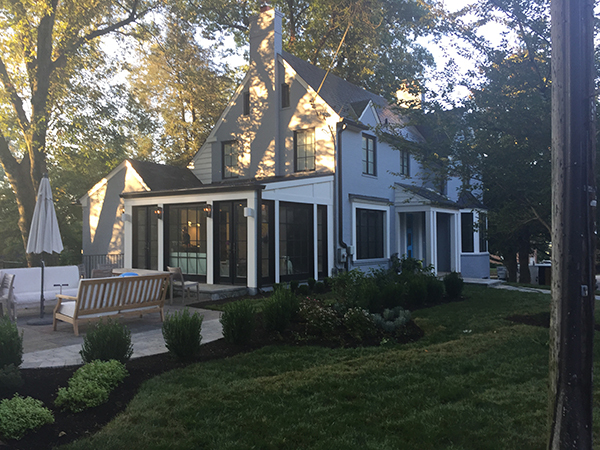 A new patio (designed and installed by a separate contractor), landscaping, and exterior paint job has given this home incredible curb appeal. 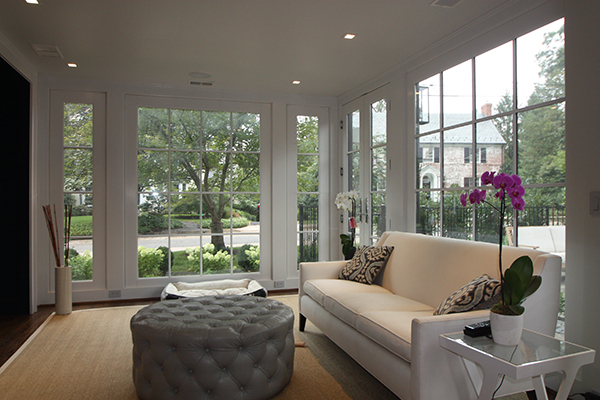 We especially love how the black showcases the new windows and french doors! The rest of this home’s makeover is just as incredible, and we can’t wait to share all of the details with you. Until then where would you rather enjoy your morning cup of coffee? 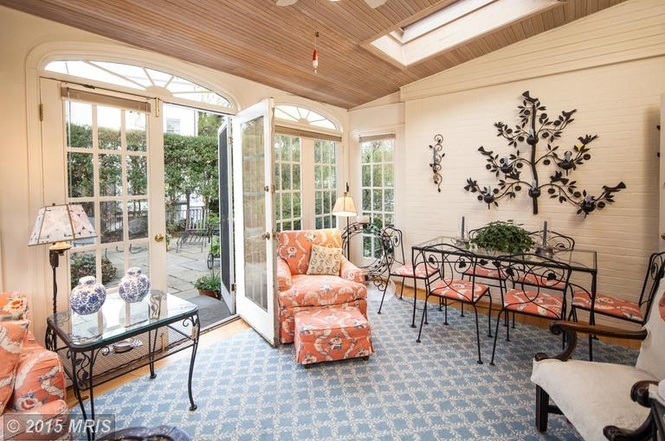 In that bright and cozy sunroom or lounging on a chaise on that beautiful new patio? Are you ready to transform your home into the beautiful and functional space you’ve been dreaming of? We specialize in remodels of every size: from kitchen and bathrooms to whole house renovations. We would love to help you with your project! Contact us today to schedule your estimate.